One of the things I’ve always loved about libraries is that you can read for free. That’s the point, right? Since I was a little girl, I have been a huge supporter of the library. 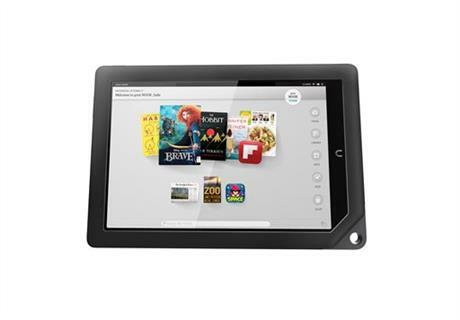 So when it came time for me to get an e-reader, I wanted the Nook, the only one — at that time — that could download e-books from the library. 1. People don’t know if their libraries offer e-books for download. 2. Libraries offer a limited selection of e-books. 3. 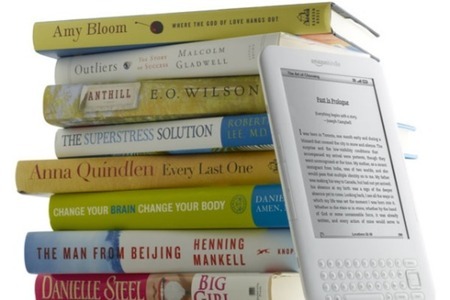 The e-books are not offered in the available format for a particular e-reader. 4. Some publishers don’t make their e-books available at libraries because they’re scared it will hurt sales. Though I love borrowing e-books, I think these are pretty valid complaints, except for #1. (I’m sorry, but if you’ve got an e-reader, one of the first things you should do is find out if your library offers e-books. And these days, most do.) The limited selection of e-books — whether it’s the library’s or the publisher’s fault — is a major issue. Finding an e-book you want at the library is extremely difficult because there aren’t many titles, and of the ones that are available, there’s typically only one copy, forcing people to go on a waiting list sometimes for weeks. Not to mention, if a publisher offers its print books in the library, there’s no reason not to offer its digital copies. Overall, this study is not very surprising, but brings up good points. Has Your Nook Been Nookd? As an avid e-book reader, I revel in the fact that I can read the word-for-word text of a paperback novel in a portable, electronic way. That’s the beauty of it, isn’t it? But what if the text of the novel you’re reading were not word-for-word the original? That’s what happened to this person, who came across some manipulations when reading Leo Tolstoy’s War and Peace. Turns out his Nook had been Nookd. When reading the classic novel on his Barnes and Noble Nook — the same e-reader that myself and millions of others use — he found the the word “Kindled” had been changed to “Nookd” every time it was used. The capitalization and odd/incorrect spelling makes it a dead giveaway that something unusual was going on. After checking an original print copy of the book to make sure he wasn’t losing his mind, he learned that it was in fact changed. This raises an important question: how often are our books being manipulated by reading them on electronic devices? Was this just a one-off case? Was it a glitch? Or are publishers playing tricks on us and doing this far more often than we think? And was this a direct attack on Amazon’s Kindle? 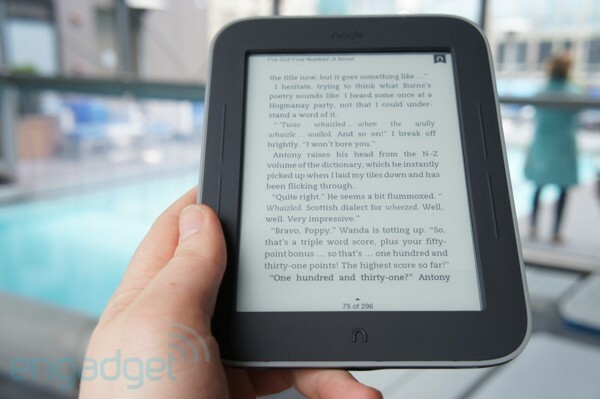 According to Huffington Post, Superior Formatting Publishing, who formatted the novel for the Nook, admitted there was an error when converting the e-book version for the Kindle to the version for the Nook, as Britney Fitzgerald explains. This happened because all of our titles were originally published on the Amazon Kindle platform first, and the titles formerly had a small paragraph of text describing our works at the beginning of the book. This paragraph had the word Kindle in it several times. When Barnes and Noble released their publishing platform we were obviously excited to offer our books there as well. A Find and Replace was done on the introductory paragraph to replace the word Kindle with Nook (along with some other formatting modifications specific to the Nook editions). On this particular title there was obviously a mistake in which the process was carried out on the entire work, instead of just the intro text. The error has since been fixed. This slightly hysterical, but mostly ludicrous mistake blows my mind. What do you guys think? Could the Barnes and Noble Nook soon be getting a massive upgrade? That’s still up for debate, but it sure has gotten a huge financial boost, thanks to Microsoft. According to the L.A. Times, Microsoft, which has stayed out of the e-reader business until now, is now giving Barnes and Noble $300 million for its new Nook-led subsidiary. As previously reported, the new branch of Barnes and Noble is something the company’s been considering for the past few months. The subsidiary, which would act as an entirely separate Nook-led branch under B&N’s umbrella, has the temporary name Newco. Microsoft will get a 17.6 shares in the spinoff. As Carolyn Kellogg points out, however, it’s odd that Barnes and Noble chose Microsoft — of all companies — to help them out. Microsoft’s investment was, at least by most in publishing, unexpected. Last we heard, Microsoft was suing Barnes & Noble over alleged patent infringements related to the Nook, which could have blocked importation to the U.S. after its offshore manufacture. 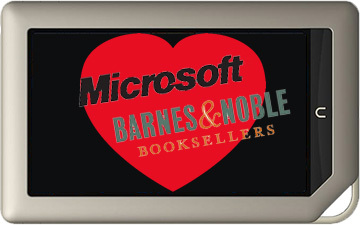 As part of the new Nook deal, Microsoft and Barnes & Noble announced settlement of the patent suit. Now that the two companies have kissed and made up, some are wondering what advancements could be made to the second-place e-reader — behind Amazon’s Kindle — with all that extra money. So I ask you, fellow Nook users, what kind of improvements would you like to see? How do you think Microsoft could change the future of Barnes and Noble, if at all? Here are a few reasons why e-readers are great: they’re portable, can hold hundreds of books in one device, and have wifi and Internet capabilities. Here are a few reasons why some are still hesitant to purchase an e-reader: setting bookmarks can be difficult, as can adding notes and highlights — though they are all still possible, and of course there’s just nothing like reading a real book. But the e-reader experience may just be getting started. According to the Los Angeles Times, reading is becoming more and more like a social network. It’s called “social reading.” For instance, on the Amazon Kindle, people can post favorite passages to Facebook and Twitter. On Canada’s popular Kobo e-reader, you can see what people are reading, if they’re reading what you are, and join in on their comment string about the book. It not only bookmarks your pages; it keep statistics about your reading habits. On an app called Subtext, readers can even connect with the author, as Carolyn Kellogg explains. Built for the iPad and launched less than two months ago, Subtext offers all of the social reading elements with the added bonus of content from authors themselves. “I was very excited about this,” says Amy Stewart, author of “Wicked Plants” and “Wicked Bugs,” an L.A. Times bestseller….Marginal icons show where she added links, video, color images and commentary, including a “Spoiler Alert” warning just to see how the function worked (the determined reader has to tap a second time to see the spoiler). Just like on Facebook, Stewart can respond to reader comments, which also are indicated by icons in the margin. For some, I imagine social reading could be a bit much. But since we’re social about everything else nowadays, why wouldn’t we be social about more clever habits, like reading? And as the article points out, it’s also the perfect way to enhance reading in a classroom. For those who are not interested in social reading, stick to a good old-fashioned book. But I wouldn’t entirely discount it.